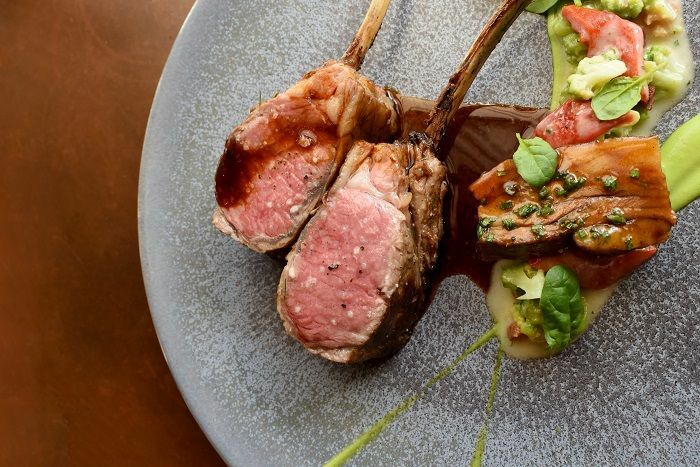 Without doubt, one of the best things about going on holiday is enjoying the chance to indulge in high quality food and drink, whether you want to experience some flavours unique to your destination of choice or just try out a range of exciting new restaurants. When you’re on a cruise, of course, the issue of food is often taken care of for you, with the vast majority of ships featuring a number of eateries which vary in terms of budget and cuisine. However, if you get the chance, you should not pass up the opportunity to stop and explore some of the more memorable restaurants at whichever port city or town you arrive in. It goes without saying that New York City is one of the most fashionable and exhilarating places you could ever visit, and this description extends to its food as well. 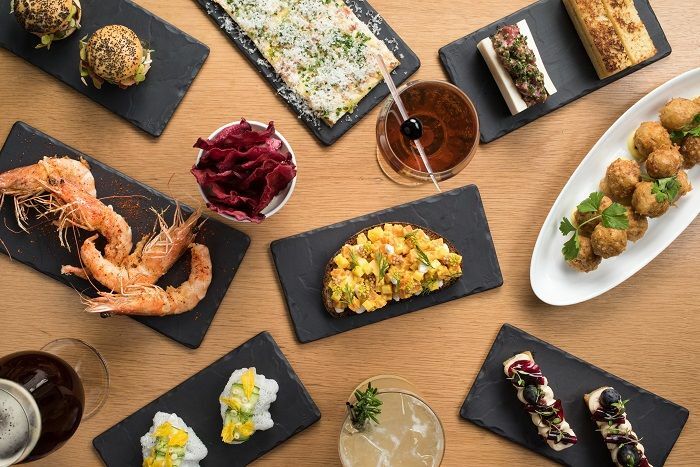 Known as an iconic and highly innovative place for award-winning chefs to ply their trade, NYC is so full of great places to eat that deciding where to choose when you get there can be difficult. Here, however, we will take you through our 10 favourite restaurants in New York – each of which have shared with us some facts about what makes dining at them so special – so that you know just where to go when you pull into port in the Big Apple. 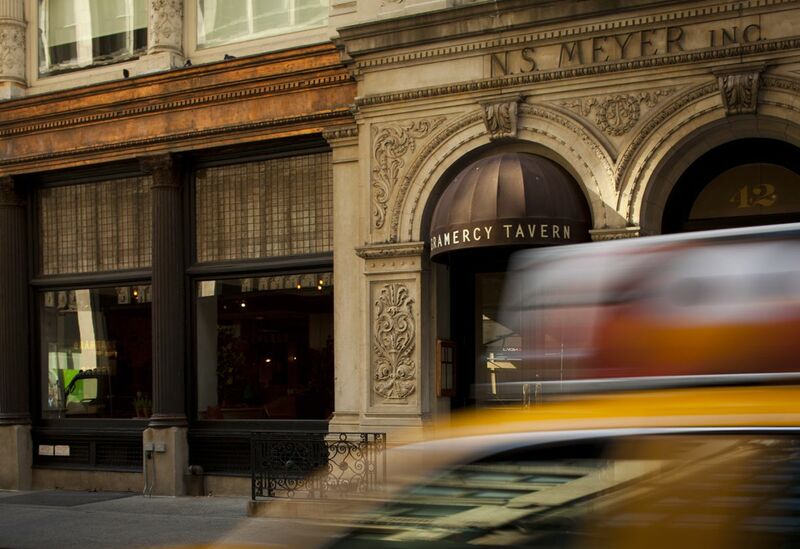 Opened in 1994, Gramercy Tavern rightly claims to be one of the best-loved restaurants in the whole of the US, and offers patrons not just one but two unique dining experiences through the separate ‘Tavern’ and ‘Dining Room’ areas. The former may be the perfect choice if you are in a rush to have a quick lunch in between shopping sprees, as it is open all day and operates on a walk-in basis, rather than through reservations. 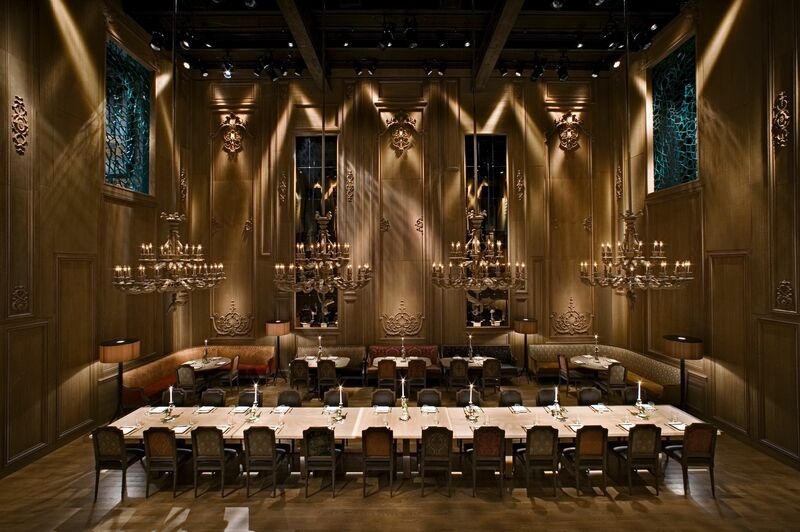 “For over two decades, Gramercy Tavern’s contemporary American cooking, warm hospitality, and unparalleled service has garnered the restaurant nine James Beard Awards – including ‘Outstanding Restaurant’ and ‘Outstanding Chef in America’ – and earned its spot at the top of Zagat Survey’s ‘Most Popular’ list. 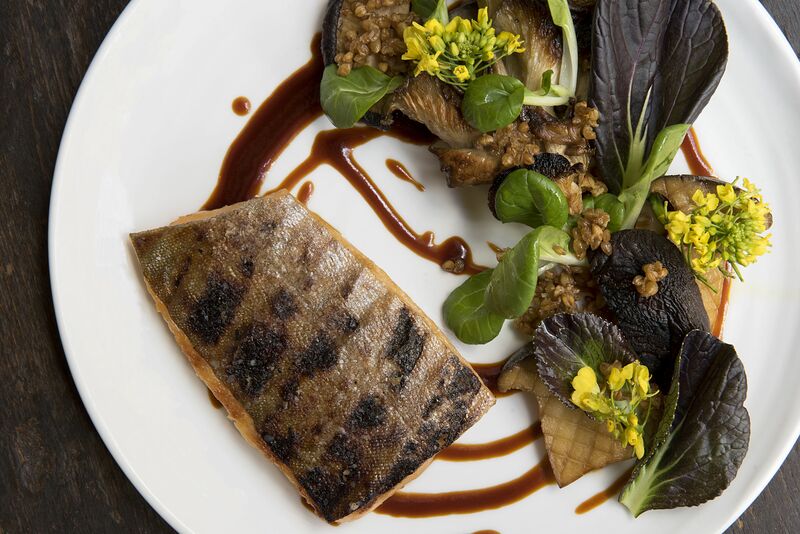 “Executive Chef and Partner Michael Anthony’s menu consists of elegant dishes with a rustic influence that showcase the restaurant’s relationships with local farms and purveyors. New York, like many major cities the world over, is a real melting-pot of different cultures and international influences, and traditional Italian food has long played an integral part in this destination’s highly regarded culinary scene. 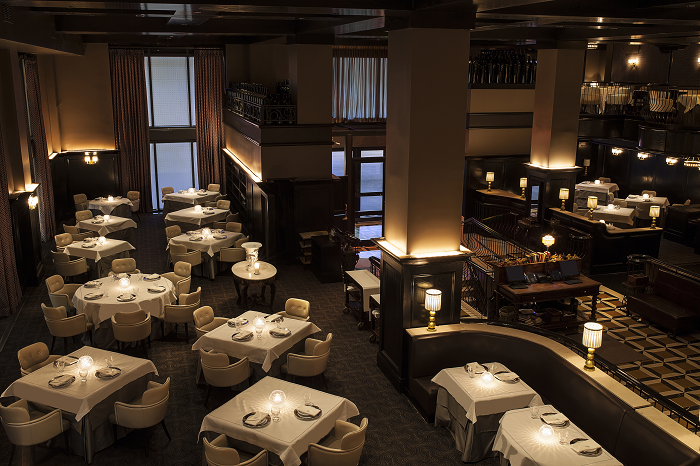 “Luxury manifests itself across the board at Del Posto— in the decor, the service and the food. Del Posto’s cuisine presents flavours and techniques from the old country in sophisticated new ways. Del Posto is dedicated to building a bridge between the classic, regional cuisine of Italy and America’s culinary ingenuity, and does so with the utmost elegance. 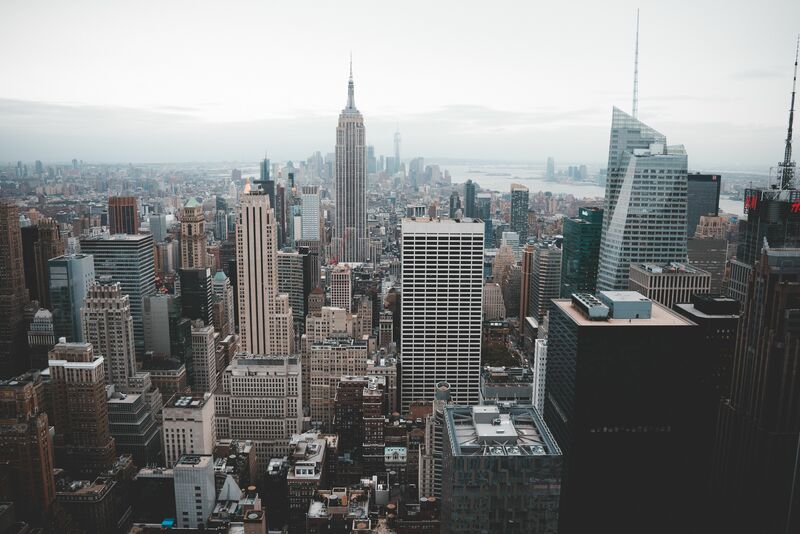 There is much more to New York than its food, of course, and the ‘city that never sleeps’ has also long been a fertile breeding ground for some of the world’s most era-defining, radical artworks and artists. 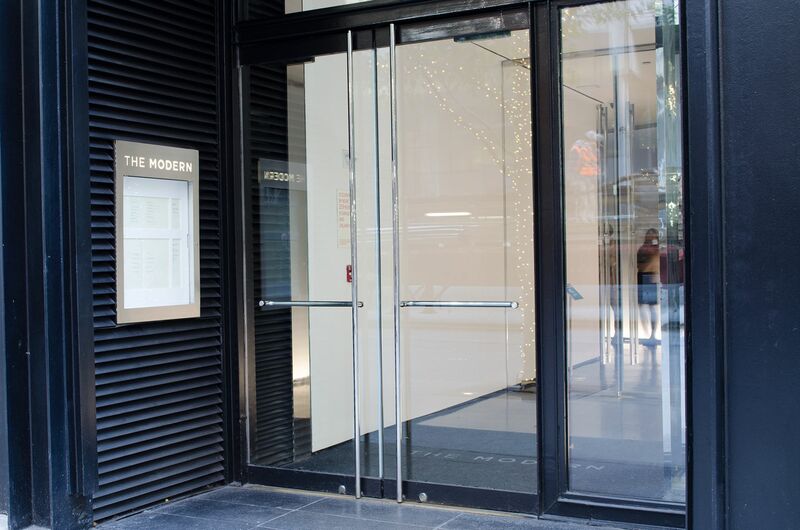 It makes perfect sense, therefore, that one of the city’s finest restaurants is located within the iconic Museum of Modern Art (MoMA). 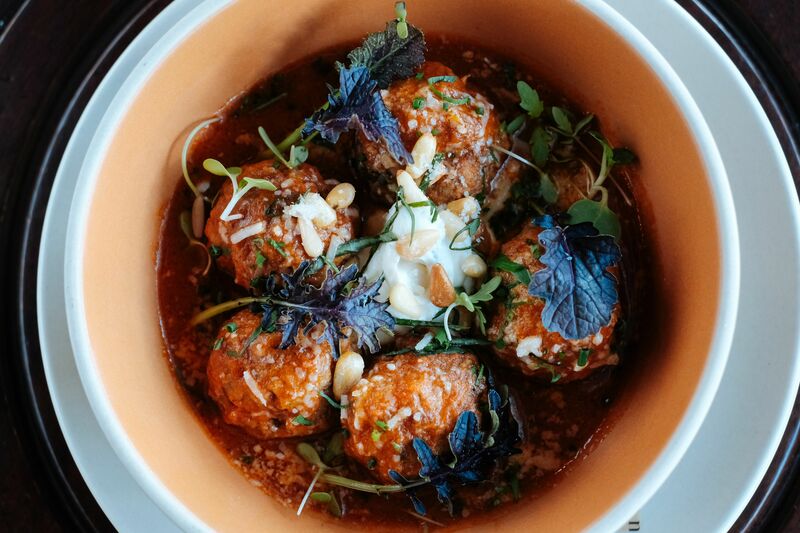 The aptly-named The Modern (complemented by its sister venture, the Bar Room) has been delighting art lovers with its cutting-edge menus for over 10 years. The perfect place to take a break from browsing what is arguably the world’s most important contemporary art collection, The Modern offers sumptuous food and wine to museum visitors and the general public alike in a surprisingly tranquil setting. 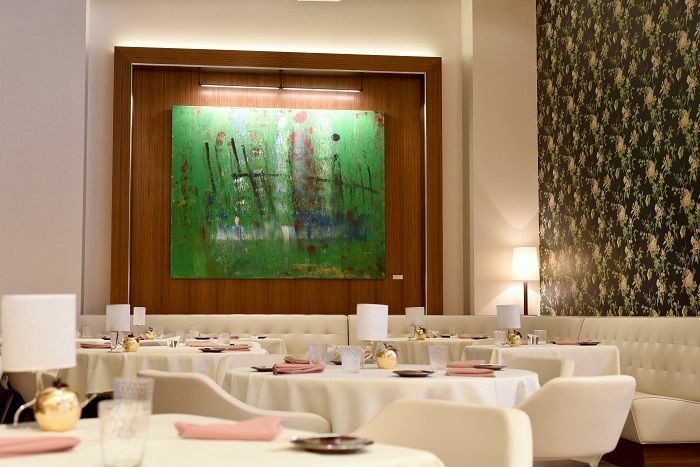 “Helmed by Executive Chef Abram Bissell, the restaurant features refined, unexpectedly playful dishes that highlight exceptional ingredients and seasonality in two distinct culinary experiences: a bold prix fixe menu in the dining room overlooking works by Miró, Matisse, and Picasso in MoMA’s Abby Aldrich Rockefeller Sculpture Garden, and an à la carte menu in the lively Bar Room. “Complementing Chef Bissell’s menus, Master Sommelier Michaël Engelmann’s extensive selection of wines showcases exceptional diversity and value in wines from both classic and emerging regions. “The Modern’s service is characterised by warmth and approachability, with an unwavering commitment to excellence and a focus on creating unique experiences for guests. With its serene atmosphere and modern aesthetic, the restaurant’s design by the New York-based architecture firm Bentel & Bentel offers a welcome escape from the bustling Midtown neighbourhood it calls home. As we alluded to earlier, short of visiting the old country itself, you can’t get better Italian food anywhere in the world than in NYC. Located in picturesque Central Park South, Marea is a true class-act of a restaurant which has a special focus on high-quality seafood. Inspired by the distinctive flavours of the Italian coast, it is the proud recipient of two Michelin stars and is a real favourite among locals – as much for its friendly ambience as its wonderful food. 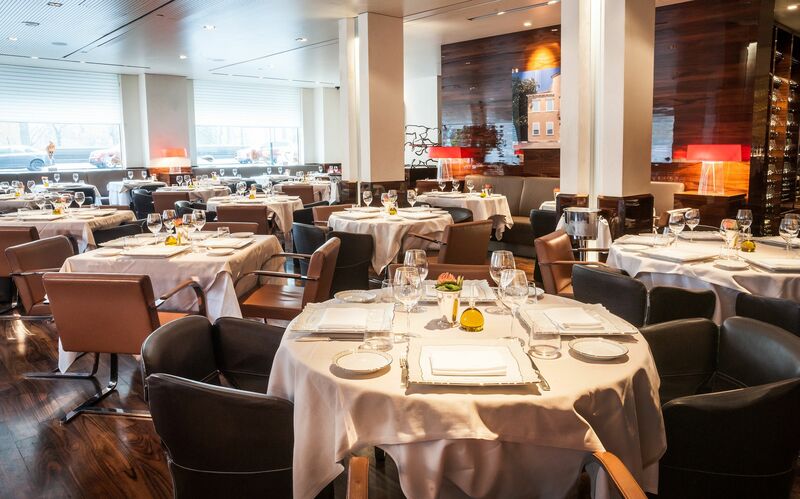 “Marea really is one of those quintessential New York restaurants. So many of our guests are repeat customers because they feel so welcome and at home here. At Marea, we really work hard to make sure our food, service, atmosphere and overall guest experience is one of luxury that is not only worth our 2 Michelin stars but is also approachable and welcoming. 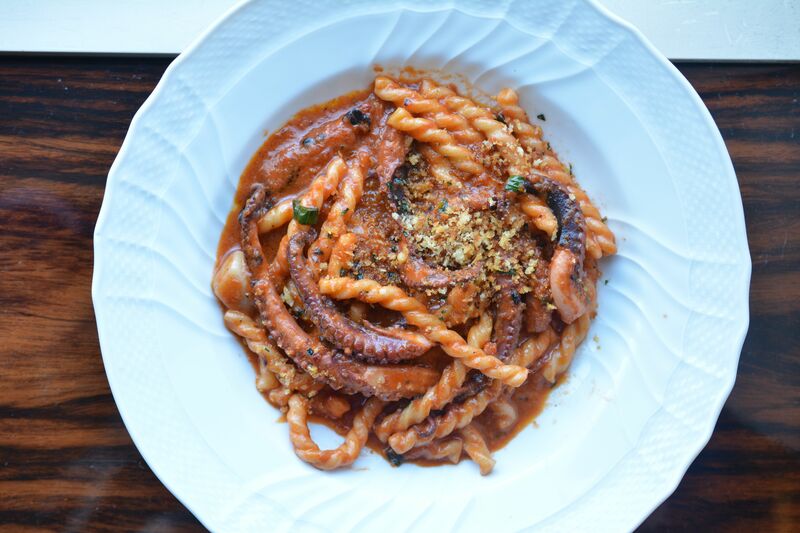 “Whether sitting at the bar for a plate of our fusilli with bone marrow and octopus or sitting in our main dining room for the full four course tasting menu, our guests are the recipients of warm hospitality, delicious and unique food and wines, all in a beautiful setting overlooking Central Park. If you’re looking for that classic New York restaurant experience, you can’t go wrong with a trip to OCEAN PRIME in Manhattan. 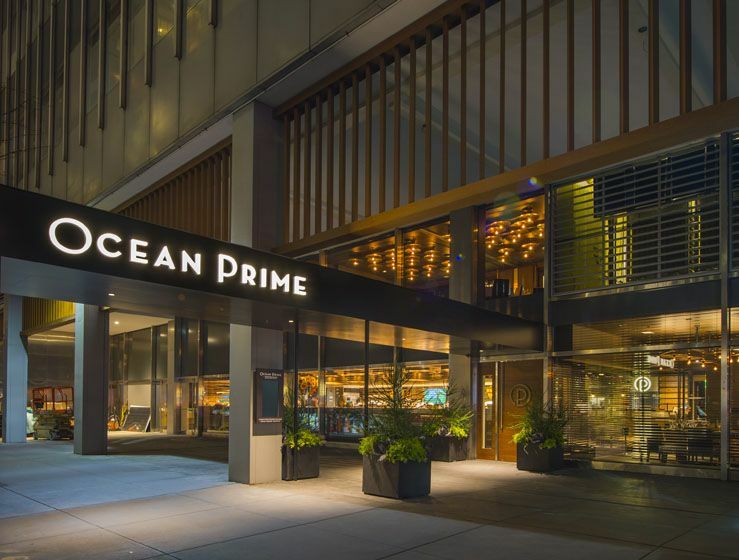 One of almost 15 locations the group boasts around the US, NYC’s OCEAN PRIME restaurant is – as its name suggests – the perfect place for catering to lovers of both succulent steaks and sublime seafood. 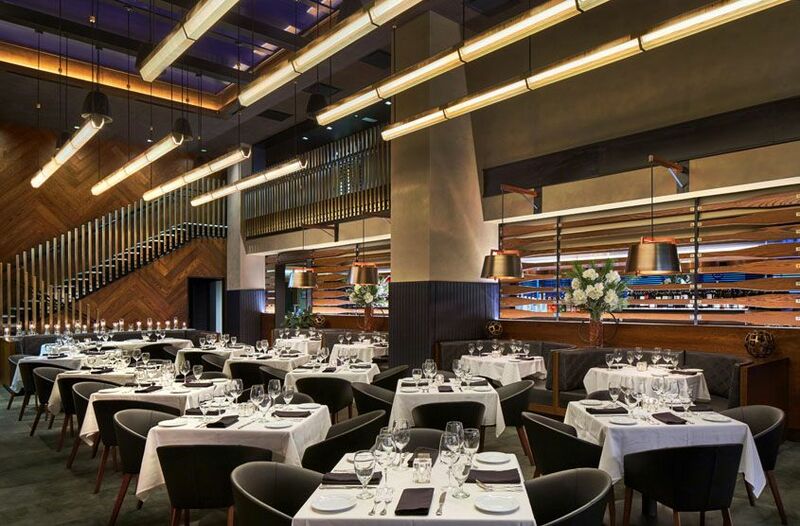 “Located in the heart of midtown Manhattan at West 52nd Street and Avenue of the Americas, OCEAN PRIME New York evokes timeless elegance with warm woods, captivating lighting and a welcoming yet sophisticated atmosphere. “The award-winning modern American restaurant and lounge from renowned restaurateur Cameron Mitchell delivers an extraordinary experience with stunning settings, an impressive menu of seafood and prime cuts of steak, signature cocktails, a Wine Spectator-honored wine list and truly genuine hospitality. Asian food is another area in which the talented chefs of New York City thrive, and the super-stylish setting of Buddakan on Ninth Avenue offers diners the chance to explore the continent’s most exciting flavours in a truly awe-inspiring location. The menu at Buddakan will be more than enough to whet your appetite, but we can assure you that your dining experience will be enhanced considerably by the magnificent architecture which surrounds you. 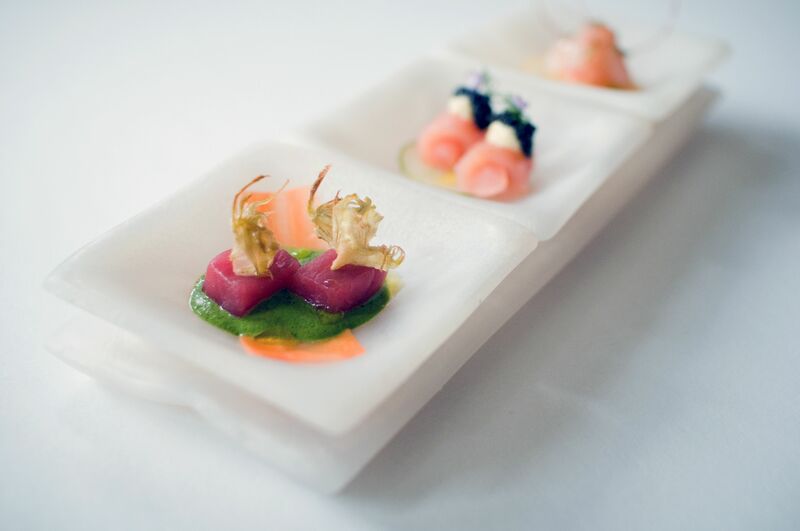 “Exhilarating to the eyes and taste buds alike, Buddakan presents the vivid flavours of the Far East in a surreal atmosphere that marries the serenity of Asia with the flamboyance of 16th-century Paris. “The vision of renowned interior designer Christian Liaigre, otherworldly art, ornate chandeliers and a bevy of gilded details kick the senses into overdrive, setting a dramatic precedent for fanciful, shareable Modern Asian fare inspired by multiple traditions. Our next restaurant is a particularly interesting choice for a number of reasons. Indian Accent is the only restaurant on our list which focuses on Indian food – perhaps not the first type of cuisine which generally springs to mind when we think of the New York fine dining scene – and eating here also gives you the chance to preview the kind of dishes which you will soon be able to try on home shores. 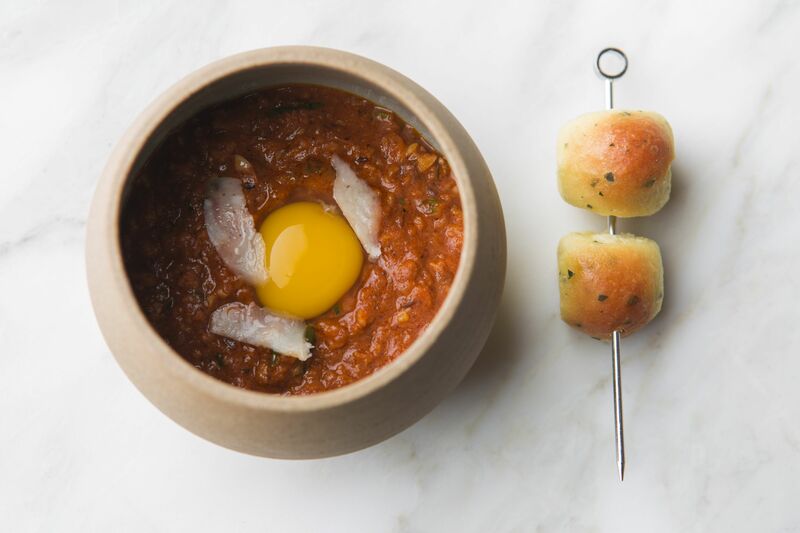 This is because, before the end of 2017, the team behind Indian Accent (whose first restaurant appeared in India’s capital of New Delhi) plan to open their third location globally in London’s Mayfair! If you want to find out more information about this new venture, it can be found here. 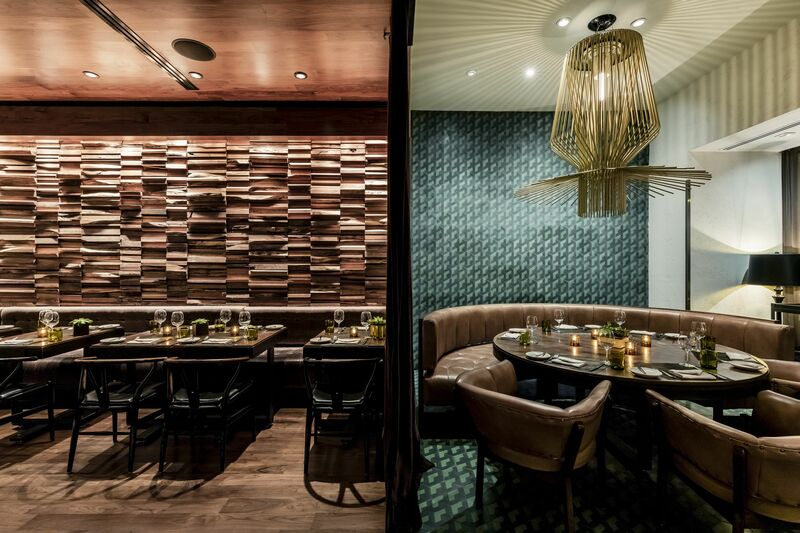 “Indian Accent, the award-winning New Delhi restaurant from Old World Hospitality, opened its first international location adjacent to Le Parker Meridien Hotel in New York. 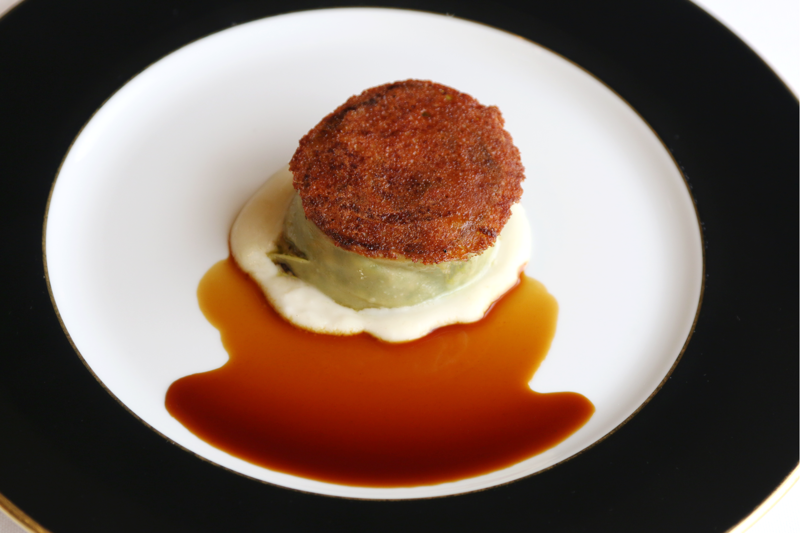 Founded by restaurateur Rohit Khattar and helmed by celebrated Chef Manish Mehrotra, Indian Accent offers inventive Indian cuisine, combining global ingredients and techniques with authentic Indian flavours. 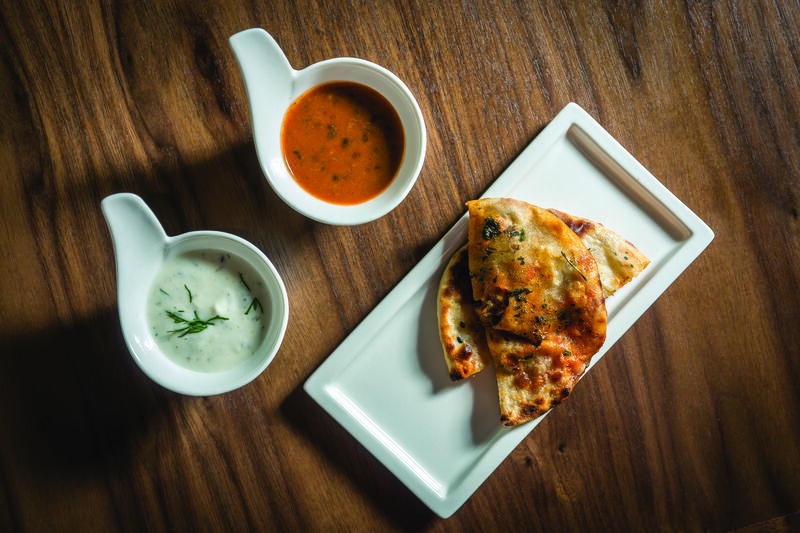 The contemporary Indian menu showcases Mehrotra’s ability to merge adventurous techniques with traditional flavour profiles. 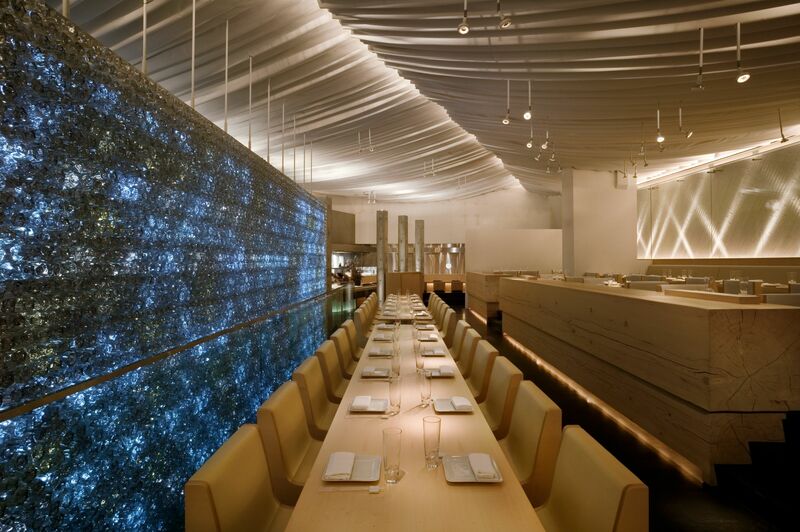 Morimoto, the eponymous brainchild of the world-famous and highly renowned chef Masaharu Morimoto, is the ideal choice for anyone craving high-quality Japanese food on their next trip to the Big Apple. 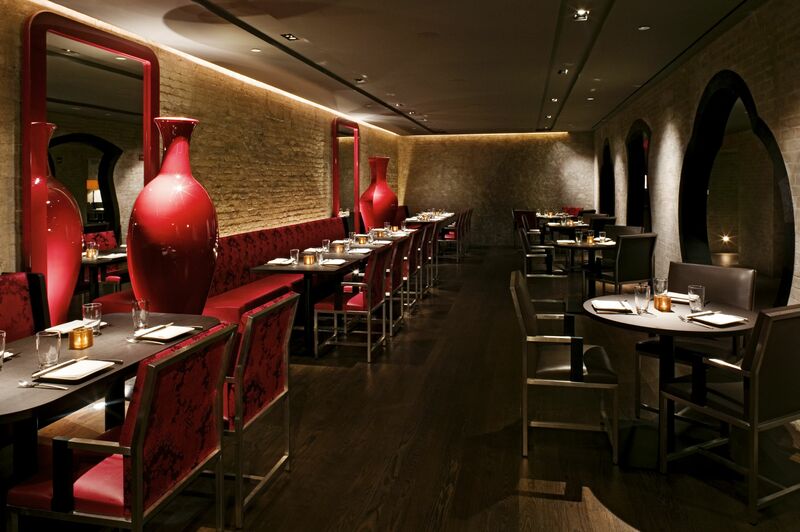 Once again, Morimoto is a great example of how New York seamlessly blends its world-class credentials in the fields of both food and architecture; as you’ll see from the pictures, Morimoto’s interiors are almost as eye-catching as the food, so be sure to pay them a visit. 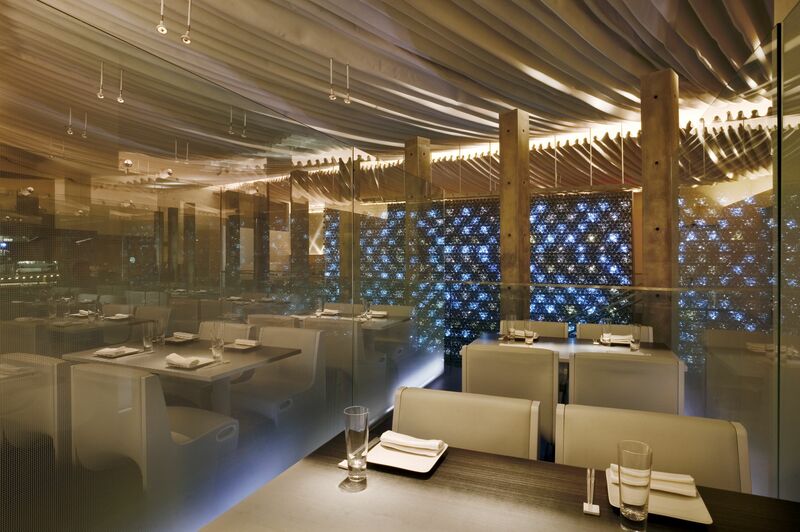 “Chef Masaharu Morimoto’s serene urban oasis sets an ambitious standard for modern Japanese cooking. The world-renowned chef showcases exhilarating interpretations of Japanese food in a breathtaking space architect Tadao Ando built as a respite from the non-stop chaos of New York City. The wonderful PRINT. 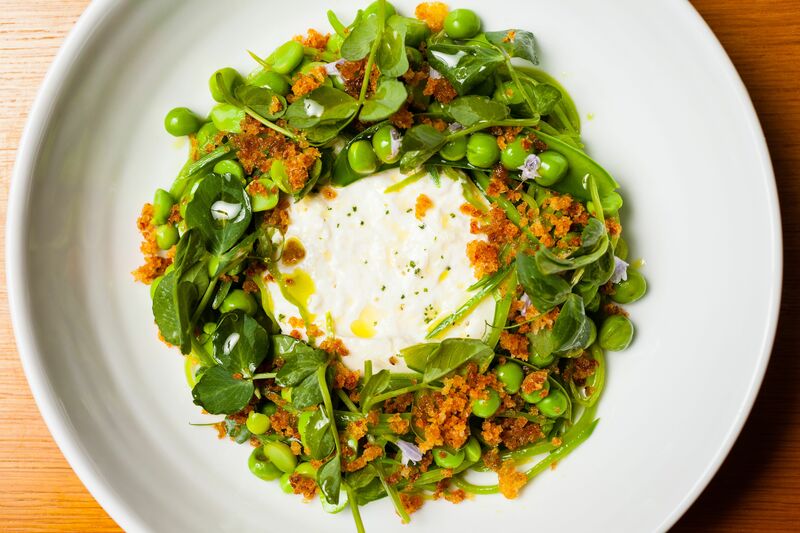 restaurant (which, as its name suggests, is situated on the site of a former printing press), is perfect for all those who are passionate about their food being as fresh as possible, as well as knowing that it comes from local, sustainable sources. PRINT.’s menu is all about the seasonal ingredients used in their dishes, meaning that – incredibly – it changes every single day. The phrase ‘you never know what you’re going to get’ doesn’t always have the best connotations but, in the case of PRINT., this is true for all the right reasons! "PRINT. 's focus on sustainability and local flavours gave rise to their motto: ‘If it's grown in the region, we eat it in season.’ PRINT. 's menu showcases ingredients collected by their in-house forager and chef from the local farmers market, regional farms and other artisan purveyors. 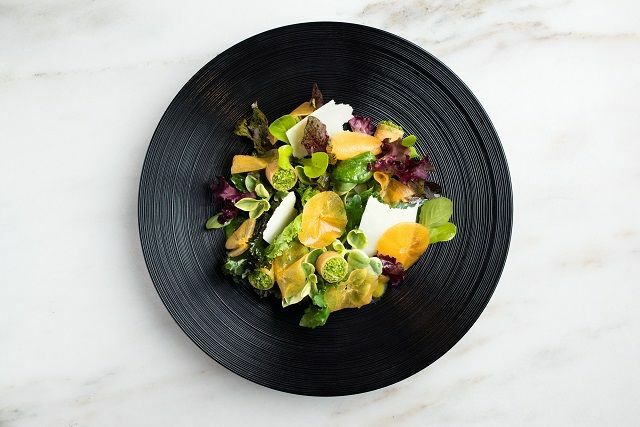 Last on our list – but by no means least – is Gabriel Kreuther, the self-titled creation of the acclaimed chef whose reputation rocketed when he was at another of the restaurants mentioned here, The Modern. 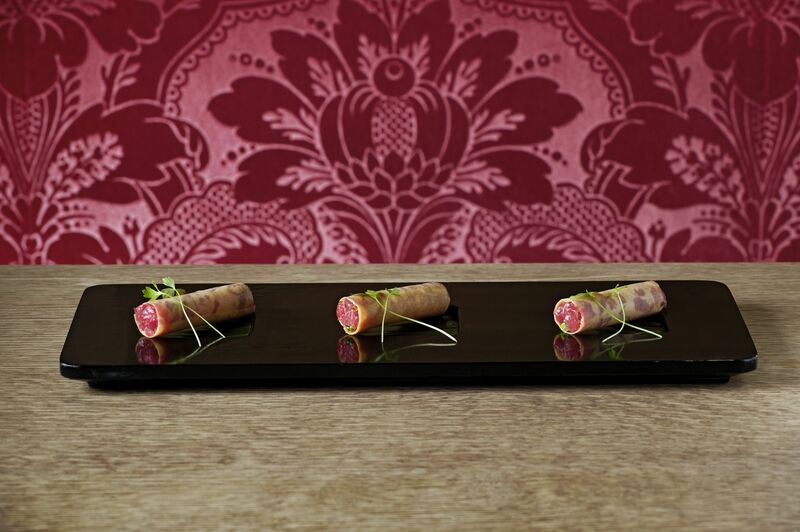 Just over two years old, Gabriel Kreuther is the perfect venue if you are a lover of fine French food (and who isn’t? ), with his varied and distinctive menus also drawing on the vast experience he has gained in some of America’s finest kitchens. 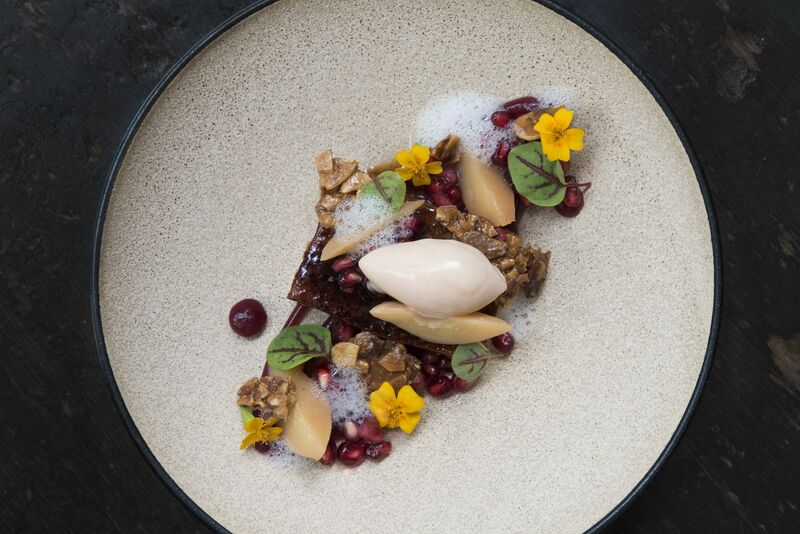 “After nearly a decade as executive chef of The Modern, Gabriel Kreuther has ventured on his own to create a distinctly New York restaurant across from Bryant Park in Manhattan, serving refined French and American-influenced dishes with inspiration from his Alsatian heritage. “Since opening in June 2015, the restaurant has received three stars from The New York Times, been awarded a Michelin star two years in a row and most recently was inducted into Relais & Chateaux’s esteemed restaurant collection. A wide range of both budget and luxury Southampton cruises regularly make their way to New York, so don’t miss out on your chance to discover some of the world’s finest restaurants in the most stylish way possible on your next trip!